For many years, systems have been built to communicate low bandwidth analog and digital information over residential, commercial and high voltage power lines. Powerline have been considered for the transmission of electricity in the past. However, with the emergence of modem networking technologies including broadband, there is a more-than-ever need for the utility and service providers to discover solutions that are able to deliver the services to the consumers at minimum cost and maximum performance. Only recently have companies turned serious attention to communicating over power lines for the purpose of data networking. The potential of powerline as a powerful medium to be able to deliver not only electricity or control signals, but even full duplex high-speed data and multimedia content, is being explored now. Since the developments in the field of powerline networking is fairly new, the information is mostly dispersed and there is a lack of collective reference material that summarizes the existing technologies, available solutions and technology trends in the powerline carrier communications. Before going into the depth of technicalities, a brief introduction of the electric power distribution follows. For the discussion of this thesis, the terms powerline carrier (PLC) communication systems or residential powerline circuit (RPC) or distribution line communication (DLC) systems refers to the low voltage part of the electrical power distribution network. 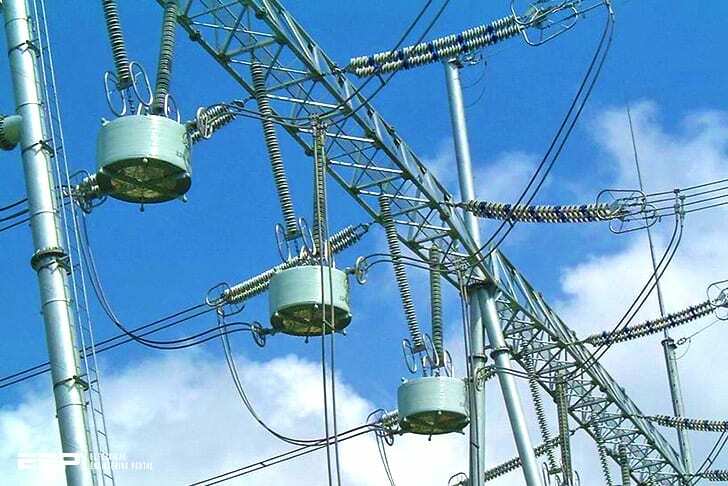 Basically, this comprises everything attached to the secondary side of the distribution transformer i.e. 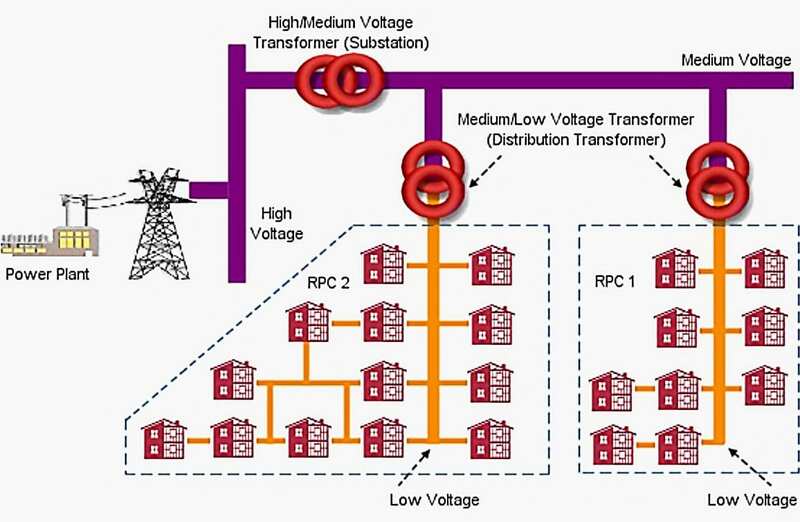 the medium voltage (MV) to low voltage (LV) transformer, including the low voltage network within the consumer’s/customer’s premises and all the loads attached to it. Figure 1 shows a typical electric power distribution network for a European city. 3 phase system, 400 V between phases; loads are typically connected between a phase and zero (≥ 240V). Heavy loads are connected between two phases. In certain older RPC’s the voltage between phases is 240 V. In this case loads are connected between two phases. Typically 400 homes are connected to a single distribution transformer in a city environment. These houses can be found in a circle with an average radius of 400 m.
2 phase system, 220 V between phases; loads are typically connected between a phase and zero (≥ 110V). Heavy loads are connected between two phases. Typically about 5 to 20 houses are connected to a single distribution transformer. These houses are located in close proximity to this distribution transformer. 2 phase system, 200 V between phases; loads are typically connected between a phase and zero (≥ 100V). Heavy loads are connected between two phases. Operating frequency: 50 Hz in the eastern part (Tokyo); 60 Hz in western part. The discussion for this thesis is based on the European style residential power circuits.